Posted on 08/28/2014New 3D-Printing Technology Assists Pediatric Doctors: Could Other Medical Specialists Follow? If you or a loved one have been seriously injured by the negligence of a doctor or surgeon in Virginia Beach, Norfolk, Portsmouth, or anywhere else in Virginia you probably have questions and concerns. 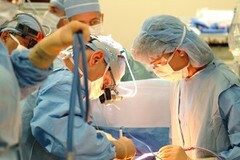 Our team of experienced Virginia Beach medical malpractice lawyers and Norfolk malpractice attorneys are here to help. Whether you or a loved one suffered sepsis from a colon surgery leak, or perforated bowel during a laparoscopic procedure, or a doctor missed a recognizable cancer diagnosis that made your cancer far worse due to being untreated, or any other type of medical malpractice, our firm can help. We have a track record of producing results for clients. Below is just a sample of our results. Please keep in mind that every case is different and results cannot be guaranteed. Just because one of the case results below may be similar to your situation, we cannot guarantee an outcome. Our experienced team of medical malpractice injury attorneys published two downloadable guides that are accessible by the general public. The first guide features tips from our legal team on what to do if you or a loved one is the victim of medical negligence and suffered serious harm. The second guide discusses common surgical errors that you and your loved ones should be aware of. When you order one, or both, of our medical malpractice legal guides, they will arrive by e-mail in PDF format. nerve damage, unnecessary surgery, surgery on the wrong part of the body, foreign objects left in the body, and organ puncture. Improper diagnosis and misdiagnosis - Examples include misread x-rays, misread test results, failure to order common diagnostic tests, and ignored or missed symptoms. Commonly missed diagnoses include heart attacks, cancer, hypertension, clogged arteries, and infections. Negligent care - Examples include the improper use of restraints, the improper administration of medication or wrong medication, hospital abuse, or lack of sufficient staff. Birth injury - These terrible injuries are due to hospital error and can lead to cerebral palsy, Erb's palsy, or brain damage. The mistake may be the obstetrician's, nurses' or other treater in the maternity ward, but the common feature of these claims is the permanent, catastrophic injury to the mother or baby. Nursing home abuse or neglect - Examples include malnourishment, bruising, dramatic weight loss, dehydration, sudden injuries, etc.